This beautiful, pocket size book is the perfect gift for those who are on the fringes of church as well as for those who want to explore alternative and creative ways of praying around the spiritual themes of Lent and Easter. In our busy, consumer led lives we have lately been conditioned to celebrate Lent and Easter through the fun and instant activities of making and tossing sugar coated pancakes on Shrove Tuesday, or the excitement of an easter egg hunt on Easter Sunday with the addition of cardboard baskets and plastic bunnies. But over the past few years I have learnt that many of my friends and colleagues, especially those who don’t come to church, are looking for a spirituality with a little more depth; an opportunity to pause, reflect and ponder on what gives life meaning in a world full of uncertainty and fear. 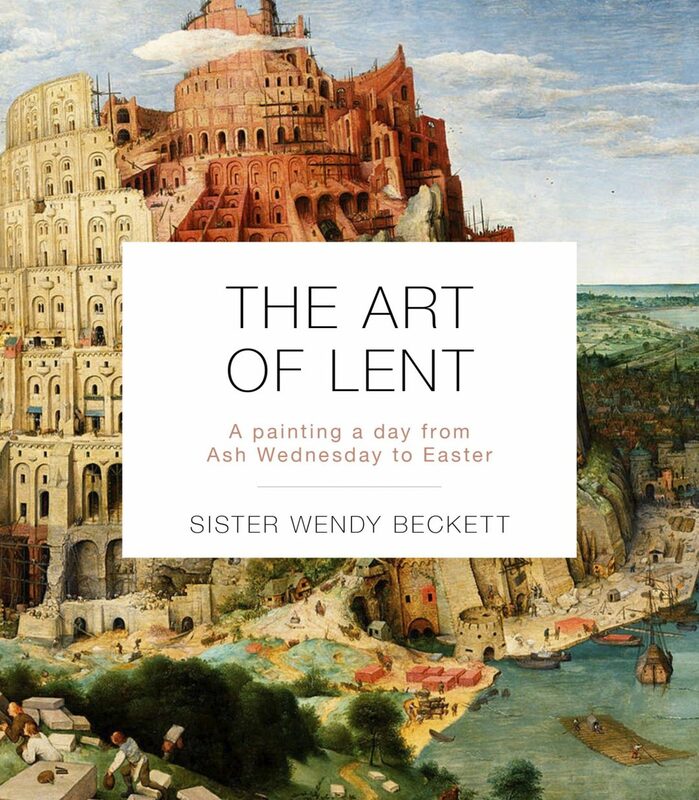 In this beautiful, full colour, pocket size book of bite size reflections Sister Wendy Beckett invites us to prayerfully consider some of the timeless questions of the Lenten narrative such as, how do I choose and surrender to joy or embrace courage, even in the midst of powerlessness and suffering? Or what does is mean for me to live a meaningful life, what passions and sacrifices bring me peace and enable me to live fruitfully? This therefore becomes the perfect gift for those who are on the fringes of church as well as for those of us who want to explore alternative and creative ways of journeying through the season of Lent. Sister Wendy, well known for her poignant understanding of art works through her BBC documentaries and best selling books, brings alive 40 of the worlds greatest paintings using her knowledge of the scriptures and her prayerful observance of daily life. Themes of silence, humility, peace, joy, confidence and love are accompanied by both contemporary and traditional art works and a depth of wisdom gained from her many years of study, contemplative prayer and intercession centred on the self emptying life of Jesus. The gift the artist offers is to share with us the mindful act of seeing, for in order to make material their thoughts and ideas, they spend time noticing, looking intently and making careful observation to the minutiae of things; the negative spaces between objects, the expression and emotion of faces, the effect of light and shadow, shades of colour, the variety of texture, shape and form. This act of seeing slows us down, and invites us to prayer, to pay attention to the moment, to pause and reflect and make sense of our own relationship with the world around us. I will be using this book for my devotions this Lent and will be buying copies to give to friends to help them develop a daily practice of prayerful and mindful reflection using art. Lesley Sutton is a curator and fibre based artist based in Manchester. She is founding director of PassionArt, a charity that explores issues around art and faith through exhibitions, projects, teaching, resourcing and creative gatherings. She is also a Baptist pastor’s wife and has served for over 30 years in pastoral, missional and community engagement, latterly through the ministry of Gather and Movement Day UK.